Central Saanich is located halfway up the Saanich Peninsula about 17 km (11 miles) north of Victoria. Central Saanich is neighbours with North Saanich in the north and Saanich in the south. Central Saanich is bordered by the ocean waterfront on the west and east side with only around 8 km (5 miles) separating the two coastlines. 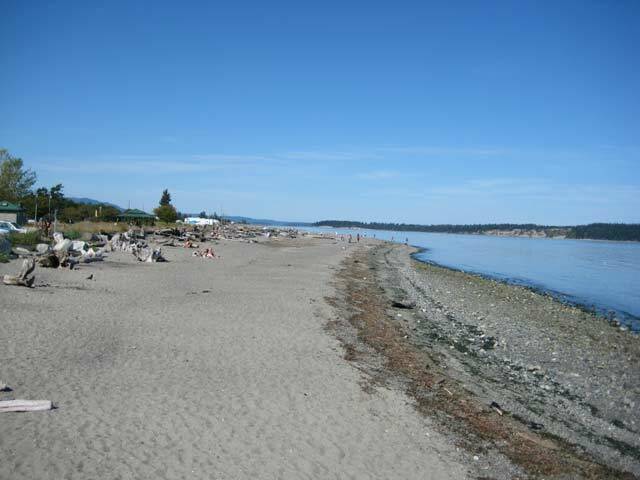 Mill Bay, Bamberton and Hwy 1 are directly across Saanich Inlet to the west. 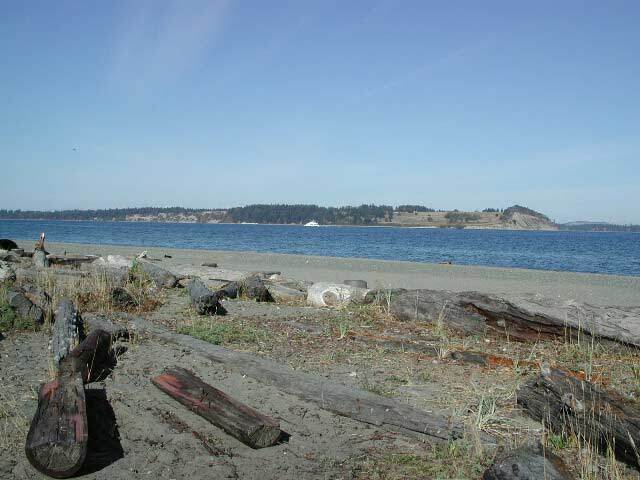 On the west side sits James Island, Haro Strait and the Gulf and San Juan Islands. 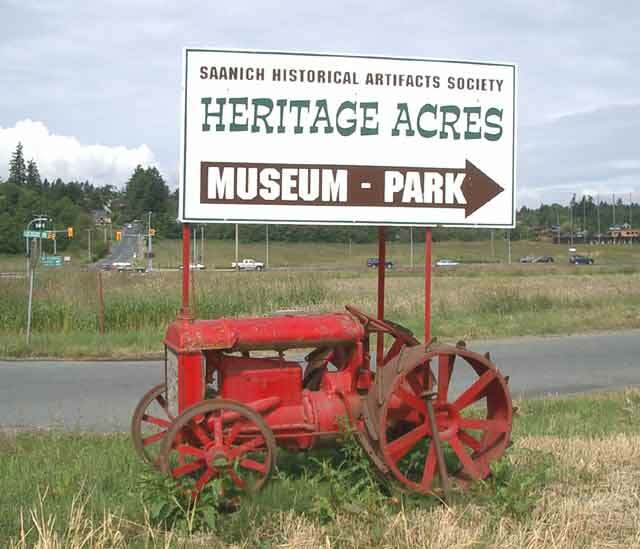 Central Saanich is comprised of a large rural area made up of small hobby farms and acreages. 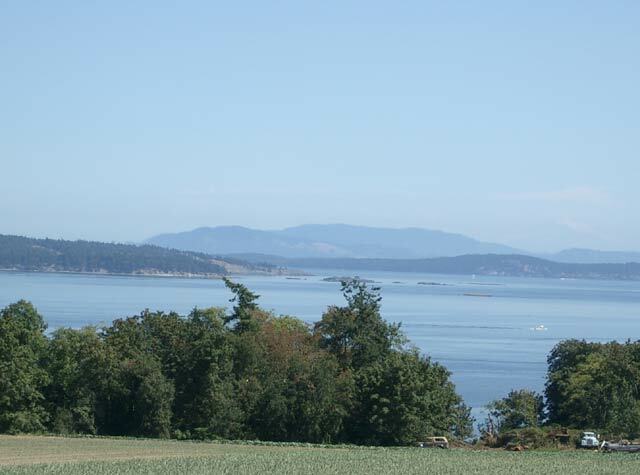 Intermixed with farmland are pockets of residential homes, near Tanner Ridge, many of them offering beautiful panoramic ocean views of James and Sidney Islands in Haro Strait and in Brentwood Bay, offering westerly views towards Bamberton and Mill Bay. 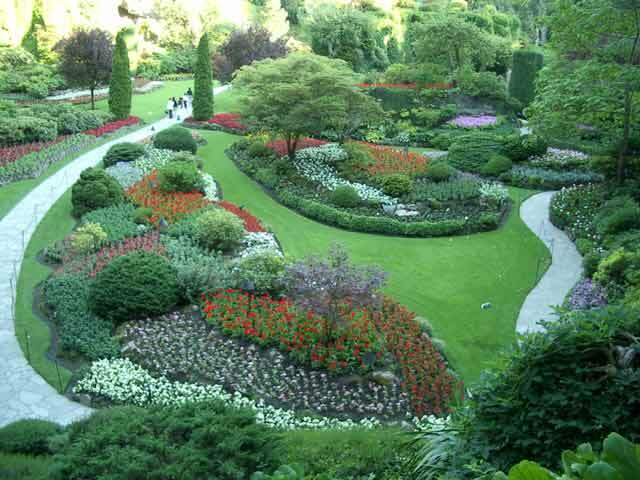 Central Saanich is home to one of Vancouver Island's biggest attractions, the - Butchart Gardens. Originally built out of a limestone quarry starting with the Japanese Garden in 1908, the Butchart Gardens offers the visitor a wide array of plants, water features, rockwork and gardens. The staff are very helpful towards your needs and there is ample parking for RV vehicles and buses. Butchart Gardens is conveniently found by taking Hwy 17 to the Keating Cross Road exit and travelling towards Brentwood Bay and continuing on to 800 Benvenuto Avenue. For beaches, try visiting Island View Beach which has easy accesses onto Island View Road 3 km (2 miles) from Hwy 17. Great spot for you to spend the day located on the east coast across Cordova Channel from James Island. 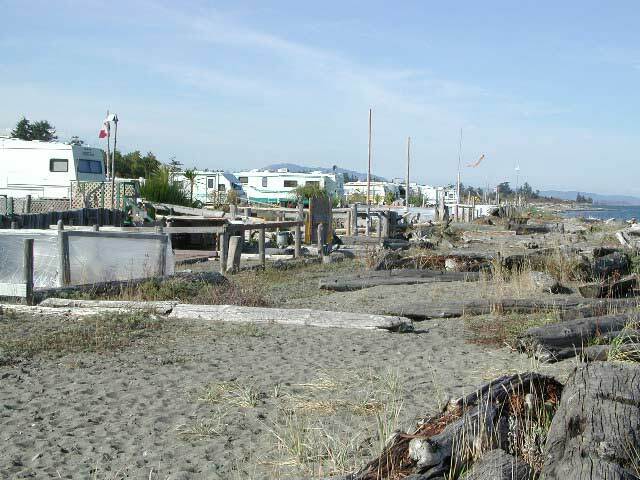 Walking, kiting, kayaking, boat launch, beachcombing, RV Park and excellent and cruising opportunities, they're all here. For close cruising or kayaking spots around the east coast near Island View Beach, try either going to Sidney Spit Marine Park or D'Arcy Island Provincial Marine Park. 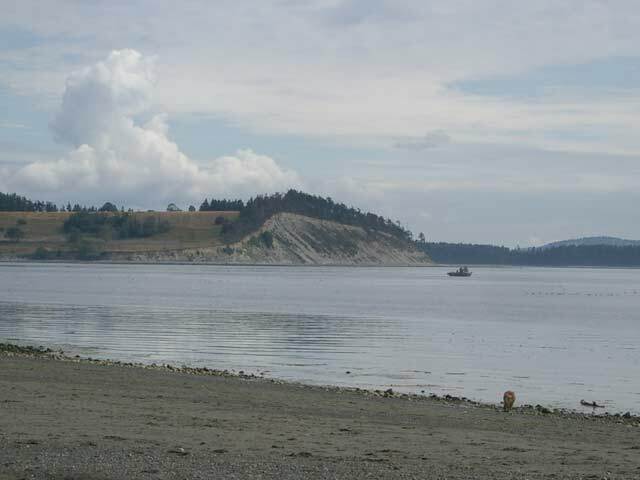 Sidney Spit Marine Park, now part of the federally managed Gulf Islands Park, has an excellent beach and campground area. You can also access the ocean from Gowlland Tod Provincial Park off Wallace Drive. There are three business and commercial centres in Central Saanich; Saanichton which is situated near Mount Newton Cross Road and East Saanich Roads; Brentwood Bay which is between West Saanich Road and Saanich Inlet plus the Keating Cross Road corridor which is made up of an industrial park, some cabinet manufacturers and a warehouse district. There is a real favourite place to eat in Central Saanich that have proven great food over time. 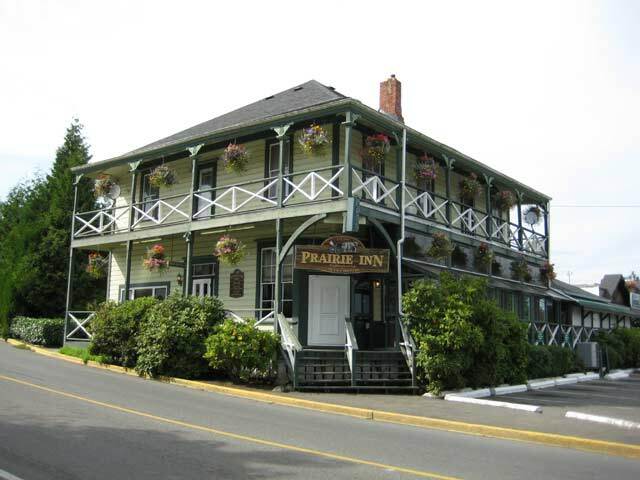 The Prairie Inn Neighbourhood Pub has been in operation since 1859 and is located in Saanichton at 7806 East Saanich Road, has a reputation for large plates. Good quality food at a reasonable price with a helpful staff. Situated in Brentwood Bay is the newly restored and designed Brentwood Bay Resort & Spa. Featuring a first-class array of service the facility contains a spa, a waterfront pub featuring fine food, a restaurant, moorage facilities and luxury accommodations. 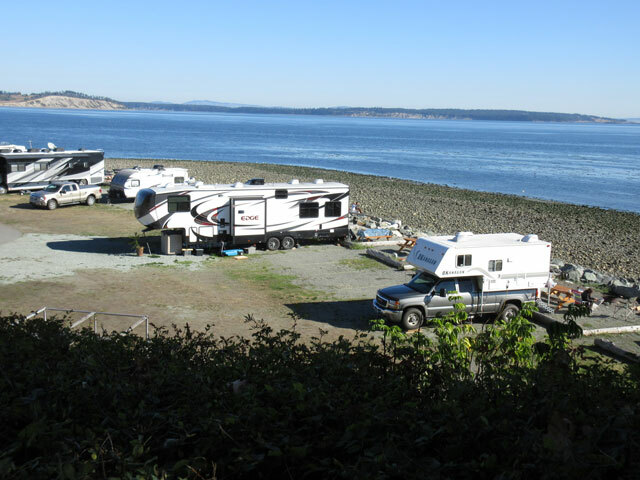 One of the best private RV sites is also in Central Saanich at Beachcomber RV Park. It has one of the next beaches besides the Regional Park found at Island View Road. Reserve early so you can have access to a waterfront site. A real treat is the mornings when you can have a very relaxing coffee watching the sun rise over the ocean. When you travel on Island View Road, try and visit Michell's Farm situated next to the Lochside Trail. 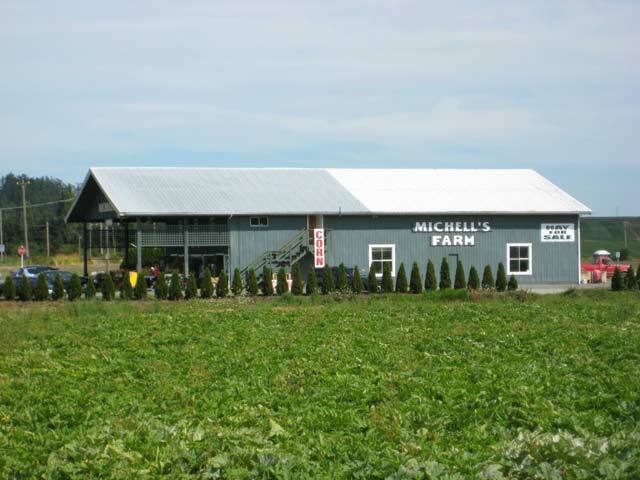 A local favourite, Michell's Farm, features fresh local fruits and vegetables for sale, along with a display of other nourishing items from nearby farmers. 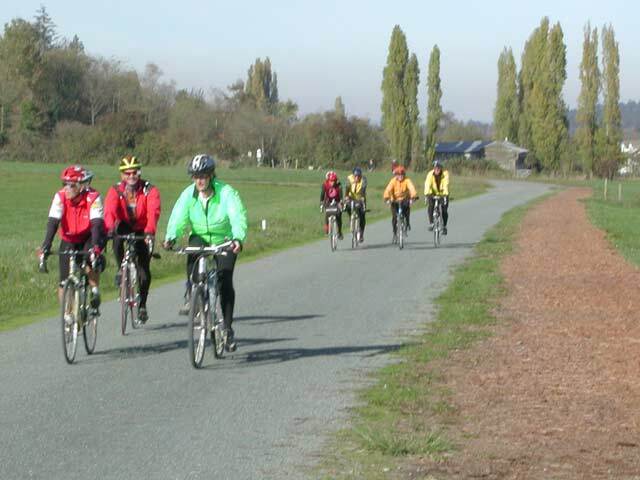 All of Central Saanich can be easily ridden by cycle using the local bike network, especially if you use the Lochside Regional Trail. Starting in Saanich by the new Uptown Development, the Lochside Regional Trail is actually an extension of the Galloping Goose Trail and Central Saanich can be reached starting at the Johnson Street Bridge in Vic West. 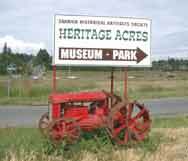 Heritage Acres is located off Island View Road and is sponsored by the Saanich Historical Artifacts Society. Here you can find an array of an eclectic assortment of antique and historical machinery. During the year, various displays of farm equipment, trucks and machinery are displayed to the public. The Saanich First Nations have two main reserves in Central Saanich - the Tsawout Band and the Tsartlip First Nations. The Tsawout Band is located in East Saanich IR No. 2, off Mount Newton Cross Road next to Sannichton Bay. Popeye's Campground is located here. Telephone: (250) 652-6539. The Tsartlip First Nations are in Brentwood Bay in South Saanich IR No. 2 which is off Stellys Cross Road on Tsartlip Drive offers a convenient boat launch, reasonably priced with good parking. 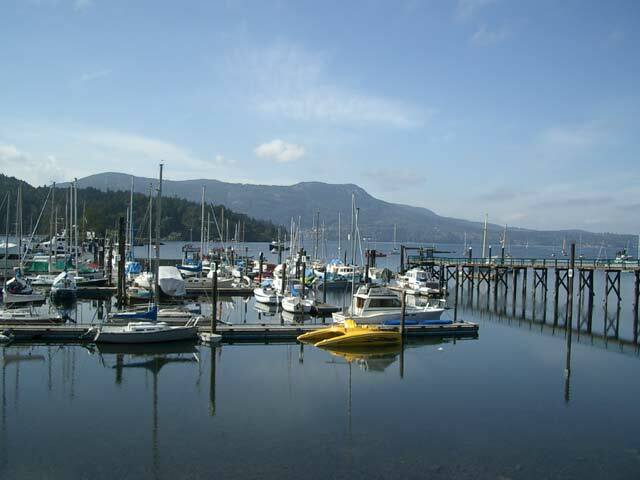 If you would like to travel a relaxed, less-hurried route to up Vancouver Island, take the BC Ferries at Brentwood Bay. This ferry ride takes you across Saanich Inlet to Mill Bay and Bamberton. If you happen to be on a cycling tour of the wineries near Cobble Hill this makes a good alternate route to avoid going over the pass on the Malahat Drive.